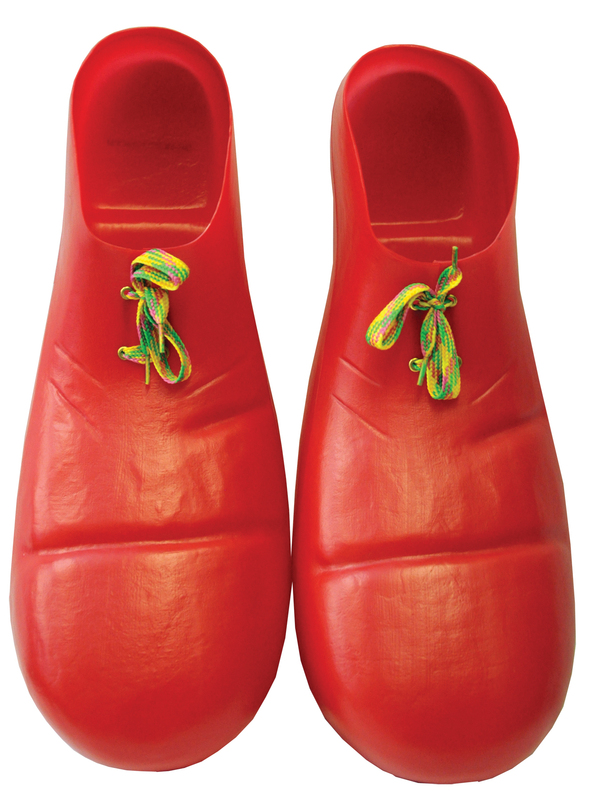 These durable plastic shoes will last a lifetime of fun. Jumbo-sized for easy wear over your own shoes. 15 inches long, red. One size fits most adults.